Take the next step with a John Deere 693 Poly corn head. Dropping the sheet metal, this poly corn head has all the durability and looks great. The poly snouts help the corn to glide onto the floor to allow the auger to usher the corn into the feederhouse on the combine. This head is set up, ready to go. 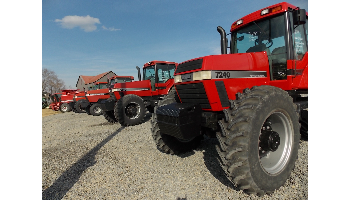 We specialize in high quality John Deere and Case IH combines and tractors. With over 20 used John Deere corn heads in stock, we are ready to be your combine Head Connection. Pair this JD 693 corn head up with a John Deere 9500, JD 9550, or 9650 combine and a 900 series grain head to form the best package deal. We are ready to help make your harvest season the best one yet. 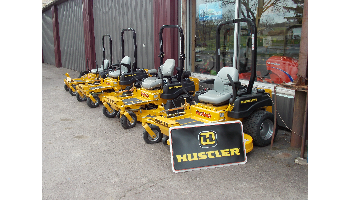 Give us a call today and upgrade your equipment. 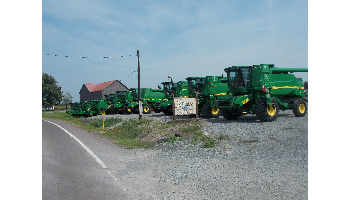 We have over 20 used John Deere combines for sale. 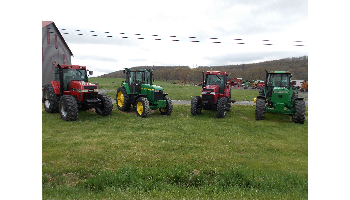 Check out our selection of John Deere 9500, JD 9550 and more and lets make this a package deal! We can deliver both pieces on the same load!